Should I use a bicycle bell? Ding, ding, bike on the road! Ding ding, careful now. Ding ding, excuse me and my two wheeled contraption. Ding ding, look away from your phone and focus on the road you’re crossing. Ding ding ding ding, is this annoying? Ding ding ding ding ding, why are you angry I have alerted you to my presence? Ding! What the hell is bicycle bell etiquette? I’ve fitted a bell to my commuter bike. My oh my. Who’d have thought such a simple act would be so fraught with existential questions?! The first week was confusing. I’ve commuted by bike in London for well over ten years. Mostly without incident. Mostly. Cycling in London is relatively safe and nowhere near as dangerous as most people believe. OK, caveat done. Until now I’ve relied on voice to alert others to my presence. It’s been effective and has the major advantage that you don’t need to re-position your hands to ring a bell. So why change? I no longer want to bark at people. True, I shouldn’t have to but the reality is we’re still some way short of a cycling nirvana so until then I still need to alert others to my presence. Why a bell? Nothing says “bicycle coming through” more than a bell. It is a universally known noise. I no longer want to be shouty man on a bike but a cyclist with a bell. Cyclists are not liked by some, for some reasons I understand (not obeying road laws) and others I struggle to fathom (sharing the road), and so yelling is not good for our collective perception. Even polite yelling is still yelling. Ding ding. Better yes? What do you mean, no? It seems even the humble bicycle bell is not liked by some. I asked around. Seems bike bells annoy pedestrians, especially if they deem the bell ringing excessive. Others consider bike bells rude. We’re a touchy lot aren’t we? Seems people take offense at being notified of the presence of another. I wonder if they feel the same about the car driver who beeps the horn when the pedestrian obliviously step into the road? Should this stop cyclists using bells? No. In fact, it’s a reason to use them more. More riders using bells will do two things. One, it will normalise the sound by making the ding of a bell more commonplace and thus, more acceptable. Two, and more importantly, it will make pedestrians more aware of cyclists. Most pedestrians fail to look for cyclists when crossing the road, they simply don’t expect them to be there. Etiquette. A polite way of saying rules. Unspoken of course. For nobody must ever actually know these rules, oh no, that would be far too logical. Imagine a world short of etiquette. Eating would be quite the experience. Dating even more so. So it is a bicycle bell has etiquette. What do you mean I’m over thinking this? Moi? Surely we just ring the damn thing and people react? Well it’s not quite so simple my friend, it never is, is it? First world problems and all that. How any times should I ring my bell? A tricky one this. Ring it once and you risk not being heard. Twice is a safe bet when approaching from behind. Thrice is good as a second warning. Four times from a distance is best in a loud city during rush hour. Continuous is great when filtering down the inside of traffic where you know pedestrians are crossing the road in between stationary motor traffic and straight into your path. When should I ring my bell? I’ve found ringing the bell well in advance is best, so as not to pounce on people and surprise or scare them. Ring the bell too late and you confuse people. Be sure to give yourself enough time to ding when turning left or right too, as depending upon the position of your bell, trying to indicate using your arm and ringing your bell can be tricky. Perhaps we need two bike bells. When shouldn’t I ring my bell? Usually not when stationary, or alone on a road. Or when happy or in celebratory mood. Don’t ring in the hour using your bell, you are not Big Ben. Neither does having a bell give you a right to ride on the pavement. How about overtaking another cyclist? Not usually. Use your judgement, perhaps when on a single track path, but not when there’s plenty of room to overtake. 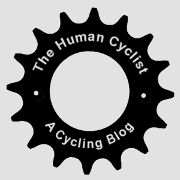 Overtaking other cyclists, it should be simple, but this is probably another entire blog! What behaviour should I expect once I’ve rung my bell? I’ve found this depends on the situation in which you ring the bell. Ring it early and not often, most folk will note your presence and all is good. Ring it too late and people will be confused, unsure what to do when they see the cyclist almost upon them, causing both you and them more trouble than if you’d have silently chosen your path and cruised on by. Ring it excessively and people will take umbridge and more likely ignore you or deliberately impede your progress. Please look at me, please! Just because you have a bell doesn’t make you king or queen of the road. Do not expect the road to clear just because you have rung your bell. You still need to ride with consideration. A bell ring is not a command to be obeyed, merely a friendly hello. Using your bell is no excuse for riding too quickly or running into folk, you still need to follow the rule to look out for the most vulnerable road user. There’s no reason to be shouting at folk if they fail to hear your bell. Many people wear headphones, or may be standing next to the loud engine of a bus, or quite simply are not used to bikes making ding ding noises so are not listening for them. It goes without saying you shouldn’t expect car drivers to hear your bell. Would I recommend fitting a bike bell? To your commuter or city bike, definitely. We need the sound of the bicycle bell to become an accepted currency of our shared spaces. No more shouting, no more not being heard. Some may believe I should politely ask or say ‘Excuse me’? Maybe on a quiet towpath but not in the cacophony of London’s rush hour traffic? I might as well whisper my approach from 2 miles away! What about buying one of those loud bike horns? Stick with the humble bell, my friend. Loud horns are as bad shouting. They’re excessive, startling and unnecessary. How about fitting a bell to your road bike? Sure, go ahead if you’re commuting. Less so for the weekend club run perhaps. Interestingly my bell arrived with my new road bike, a machine made for speed. So why supply a bike bell? Bikes have to be fitted with bells at the point of sale, but there is no legal requirement to fit or use them once on the road. I bought my bike online, hence the bell in the box. Interestingly, a bell is part of the minimum requirements for international use as required by the 1968 Vienna Convention on Road Traffic. What do you think? Is using a bike bell a courteous ring or a rude ding? Lead image courtesy of the excellent bikeyface.com, great cycling cartoons. Interesting read. FWIW Here is more info for a slightly different setting. I am retired. I live by the lakefront in Chicago so I have access to a bike path that extends over 30 miles. I get sunrises in the morning that take my breath away. There are no cars on this bike path. Sound like heaven? Not quite. In nice weather (not freezing, raining or snowing) there are tourists walking on the path along with joggers running. For my money anyone who rides here WITHOUT a bell is insane. I have a ding-dong bell which rings as loud as legally possible. I ring it once when I am about 15 feet away from walkers. Because it is a loud bell, about 90% heed it. The others apparently just don’t care. I used to ride with a little tinkle bell hoping not to annoy people, but I found that about 90% ignored it completely. I am guessing they envisioned an old lady behind them that could just bide her time. Hence, the bigger louder bell. Finally, when folks heed the bell and make room, I always thank them as I pass. I also favor a loud bell for street riding too for your own and the safety of others. All that said, just like they tell auto drivers – you need to drive (ride) defensively. Thanks Tony – I agree, if you are going to be using a shared path then a bell is required – British Waterways once launched a campaign called ‘Two Tings’, encouraging bike bell use on narrow canal tow paths. Personally I prefer to avoid such narrow tow paths altogether as it’s a frustrating riding experience and I know cyclists frustrate walkers too. Interesting you mention ‘legally loud’, assume you have laws in place to regulate bike horns? I don’t think such a thing exists here in the UK, for cars perhaps. Actually the guy at the bike shop told me that about the legal limit when I bought it ( actually ‘them’- I put one bell on all my bikes). Agree completely on your ideas about narrow paths. I avoid them, too. Very dangerous for all concerned. The path by our lakefront is about 30 feet wide. “For my money anyone who rides here WITHOUT a bell is insane. I have a ding-dong bell which rings as loud as legally possible. I ring it once when I am about 15 feet away from walkers. Because it is a loud bell, about 90% heed it.” – Well said Tony! This drives me crazy. I’m partially deaf, but I can hear a bike bell, ideally an old fashioned one, if a tiny new one, then two tings really helps. What I can’t hear until the very last minute is the guy/gal behind me who has reached my shoulder before they say “coming through” or the like. I often jump a bit and have nearly come off several times. It’s just the same for the walkers who may be older too. I ring from a distance to see if I get a head turn. If I don’t, I ring again, and if I get closer and there’s no reaction I shout out, but aim not to make people jump out of their skin. Sometimes this means slowing down a lot. I’ve had the bell argument with many other cyclists and even some walkers who hate to hear the sound and deem it rude. It isn’t rude it’s the exact opposite, it’s being polite! And better a crumpled brow in irritation, than a crumpled rider who didn’t hear you until the last minute and falls. The notion of a bell being rude makes me chuckle. I can see why a gee sensitive folk may think they’re being dismissed as lower life forms by the cavalier on the bike. Yet the reality is the cyclist just wants to pass by without injuring or surprising. “the cavalier on the bike” – Hahahaha. Aye, it’s all quite nuts. People have forgotton what bells and horns were created for. That sounds rude, but I assure you it isn’t. I’ve just got a new commuting bike complete with bell, and I have to say I’ve taken it off the bike. I’ve found a better use for it. It’s one of the zip tie type fixings, so fits onto smaller diameter objects, like the handle for my tea mug at work. I just ring it until tea arrives. It’s a wonderful accessory, highly recommended. Ha ha, love it. I should try the same when on the turbo, ring the bell and somebody can bring me a musette for lunch! Cycle the country lanes and cycle paths round here, with & without groups. Wouldn’t be without my wee bell. It’s small and light, shelters behind the handlebars and sounds lovely, so a couple o dings doesn’t go astray. As well as being used for folk, it’s a good warning for horse riders, combined with slowing right down, pheasants, squirrels, sheep, deer and other miscellaneous wildlife on the tarmac. It’s also great for greeting pals in the village. But, and it’s a big bit, I try never to assume that riders or people ahead aren’t hard of hearing or wearing head phones, plus always a cheery thanks as I pass. A cheery thanks, every time. You are a model rider FC! I wish – we all have our faults! Ah bells. If I were to go that route, I would have to go with one that has a bunch of different sounds, like Homer Simpson burping or a horse’s whinny. Just because. My Whyte Sussex road bike is sturdy enough to handle the rural canal paths down my way and it came with bell attached – sleek and simple, with a loud but pleasant ‘ting’ to it. When riding the paths at reasonable pace most walkers seem to appreciate and respond to a courteous ‘ting-ting’, delivered in good time. Hurrah! But some folk are bloomin’ contrary: from the tutting, pursed-lip merchants who seem to take mild offence at the warning but reluctantly allow your progress, to the full-on awkward squad who know you’re there but amble on regardless, doing their best to make you stop, or go round close to the canal edge… and don’t get me started on the oblivious headphone set! Yeah, I don’t get the contrary group. It’s almost as if they’re insulted, their self centered world blown apart by the need of another. Would they stand firm if a fellow pedestrian wanted to pass with a polite excuse me, which is all a bike bell is. How’s the Whyte Sussex? I’ve any good things. I don’t have a bell on my bike. I’ve considered putting one on but I haven’t yet bought one, mainly because a simple “on your left!” works for me almost all the time. For the iPod zombies, er, walker,s I call out “on your left!” repeatedly until they take notice or I pass them, whichever happens first. Sometimes I don’t call out if the person or people have already noticed me. When it comes to children and pets, though, I always: announce myself well in advance; slow down considerably; and have a hand over the brakes as I pass. With adults, you can usually assume that they will continue in a straight line, but you can’t say the same for dogs or kids. If anything I would probably get a squeaky dog toy rather than a bicycle bell. Ha ha, squeaky dog toy may lead to some enjoyable chases! I’ve not got your confidence when it comes to adults acting logically! As an occasional walker myself I know how easy it is to get lost in your own little world and be confused when a bike approaches from behind. And that’s before I’ve had a few pints! I hate to say it, but to be honest, I’ve always thought of the bell as “un cool.” If various groups of riders show up for a ride, it’s usually the codgers who have bells and other colorful adornments to their bikes. Its a way of saying, “I just don’t give a crap anymore and I’m going to let everyone know it.” Having said that, I might have to get a bell. Ha ha, I was young once too and thought along similar lines. The foolishness of youth! Not that I’m ancient now. It’s not that older riders don’t give a crap, the opposite in fact. They do give a crap, just for other people more than themselves. The beauty if wisdom. Riding with older riders has taught me many things. Especially when they ride me off their wheel with ease! What ever happened to saying something like passing on your right (or left) & then saying thank you as you pass? A bell doesn’t tell the pedestrian which way you are going & is very annoying in my opinion. First of all it is serious noise pollution. Especially when you’re enjoying a nice quite walk listening to the insects, birds, etc. 99% of the time I hear you approaching, why do you need to disturb the environment with an obnoxious bell? Especially those who love to ring, ring, ring it in the outdoors away from any crowds. IMHO, you’re jerks. I think it depends on the situation Thomas. Politely​ asking may work in a quieter environment but not in a busy city with loud engine noises. On your right also gets misinterpreted, with pedestrians often thinking you are asking them to move right, and so they walk into the path of the bike. It’s great that you hear cyclists approaching, many people do not hence, the invention and success of a bike bell. Not sure why you feel the need to be obnoxious and start throwing insults around either? I risk a $106 fine every time I ride my bike. Why? Because I don’t have a bell. Nevermind that I ride exclusively on roads with speed limits of 80 km/h or above during my commutes, nevermind that I have never seen a person walking while I’m on my commute, or that I’m not even legally allowed to ride on a footpath where I live. I guess I’m just a rebel at heart. At least we stopped them from forcing us to carry ID when riding, and their idea of bike rego/licence sunk in the water (eventually). I think if I saw people on my rides and not just buffoons looking at their phones while driving I’d use a bell. But I won’t be holding my breath for that to happen around here anytime soon. Bells are a must. 99% of people are happy to know I’m coming through – the only exceptions seem to be deaf old people who tell me I should have used my bell even when i have! Pet hates on bridleways are dogs -or rather carefree handlers, next up people using earphones and oblivious to the real world. I think the majority of the responses on this issue fails to recognize the pedestrian’s right of way. When I ride on multi-use trails, I SLOW DOWN, then warn the pedestrians of my intent to pass on the left (I’m in the USA). I also do a fair amount of walking on these same trails and notice the majority of cyclist fail to abide by this ESSENTIAL STEP for safety’s sake. Some places require the pedestrian to walk on the left side of the trail facing bicycle traffic riding on the riding on the right. This way the pedestrian can see cyclist coming and the cyclist can pass without using a bell or shouting at the pedestrians. I like this idea and think it should be a requirement everywhere. Absolutely right. Pedestrians first is something all cyclists could do with learning, both on shared paths and on the road. I bought a portable Bluetooth speaker that fits in the water bottle holder as a way to help my little one enjoy riding more. I took it on a ride on a multi use trail and it was really helpful. Everyone heard me coming and stepped to the side without me saying anything. And a few people enjoyed the music too 🙂 my husband always laughs when people wait until they are next to you before saying “on your left.” I think bells are great too. Whatever gets you noticed will keep you safe. I’ve ended up on this page not as a cyclist but as a pedestrian trying to understand the rules/etiquette of using shared paths. I walk along a canal path with my two young children and our dog and recently have had quite a few bell rings which can be quite startling but I always do my best to get out of the way. However, it is not an easy task trying to make a dog sit and children move to the verge in a very short space of time especially when cyclists can appear behind you quite suddenly. I’ve also had people passing on either side which I assume is lack of knowledge or perhaps people from countries where they drive on the right. And on most occasions there has been no gesture of a thanks. Anyway, should I be expected to move? If cyclists are in such a hurry can’t they be the ones to go into the verge or at the very least slow down to pass? I do to be honest find the bell ringing rude, particularly when they can see from a distance the struggle I am already having. As a driver I wouldn’t beep my horn at pedestrians to hurry them along or get out of the way or indeed at a slower moving cyclist. I am very conscious of cyclists safety on the road (I live in the Scottish highlands where we have a very diverse range of traffic in some very poor road conditions). My question is only about shared paths which, I think should be a more leisurely experience for all. Hi Lisa, as a pedestrian you should have priority, not just on a shared path but anywhere. Cyclists should slow down and be considerate when passing. They should also be polite enough to thank you too. Unfortunately it sounds like this isn’t the case. Some people believe ringing the bell allows them​ to pass no matter the circumstances but the bell is only to alert pedestrians of a cyclist’s precense. The cyclist should then take care when passing. I know some pedestrians can be startled if a bike passes without giving any notice. As a pedestrian on a shared a path you should look to give way to cyclists where possible but you certainly shouldn’t feel rushed. Some shared paths, particularly canal paths, are in my personal opinion unsuitable for cyclists, especially if the cyclists don’t slow down for pedestrians. I avoid riding on canal paths as I know myself as a pedestrian it can be unenjoyable when the path is busy. I know cyclists here in London who use canal paths because there isn’t a safe alternative or to avoid a busy road. If everyone was just a little more considerate it could work. As you say, what’s the great hurry? I’d suggest you try to make eye contact with the approaching cyclist and let them know you’re aware of their precense and will let them by when you have the chance. The eye contact will hopefully slow them down and maybe, just maybe, they will recognise and treat you as human rather than an obstacle to pass. Hi, I’m a member of the Ride Away Obesity campaign and I came across your blog as I was googling about cycling. I read a few of your blogs and I really like the imagery and metaphors you often use in your blogs. As a campaign that aims to reduce obesity in Australia by promoting everyday/commuter cycling as a form of physical activity, you blog has definitely raised the issue of conflicts between pedestrians and bikers on the road. This is particularly relevant as in Sydney, there are not many paths dedicated for cyclist, leaving cyclist either riding on the road or the pedestrian paths. I will definitely need to be cautious with the factor of road safety as I promote everyday cycling. Our campaign has just been set up this week, I invite you to visit our page and follow us at https://rideawayobesity.wordpress.com/. Ps. Please don’t be discouraged after epic bike trip while you’re feeling like a ‘hungover sloth’! Keep going and cycling is also good for your health! Thanks Grace. Great to hear you’re promoting cycling, I’ve heard there has been a clamp down on cyclists in Australia breaking the law with lots of fines being issued and many perceiving cities like Sydney as not being very cycling friendly? I have always used a bell on multiple use trails as people tend to hear it as opposed to my voice – especially if I am winded or if the other person has head phones. Today on the Creeper Trail in Virginia, I was accosted by other bicyclists for using a bell. They knew I was there as I heard them say another is coming. I used the bell anyhow and they yelled at me for not saying “on you left”. Actually came after me, yelled “on your left” in my ear and stop in front of me so I had to avoid. I thought it extremely rude. Your blog helped in making sure I was in the right. Thanks Mark, they don’t sound like great people let alone nice cyclists. Very interesting! I agree that many people don’t feel comfortable using a bell, or attract the attention on themselves. On top of it, cyclists argue about bells all the time. No consensus there! But bells are not lame, cheap, or ugly. Personally, I find a bell best for mixed-use trails where there are bikes, humans, dogs and others mingling. A bell is a civilized heads-up. I’m still using mine, works 9 times out of 10, so far less yelling at folk, although the occasional zombie still needs something a little louder to distract them from their phone or own little world. I don’t like the bike bell. to me its putting the responsibility on the person in front of me not to hit them. Instead i assume everyone is a hazard and so I proceed with caution assuming everyone may stop and turn into my path. Smart cycling requires I always have a plan B.
I like this philosophy Alejandro, a very good approach. PreviousReliability Trials – Test your reliability!